Two of my favorite desserts combined..... brownies and cheesecake. 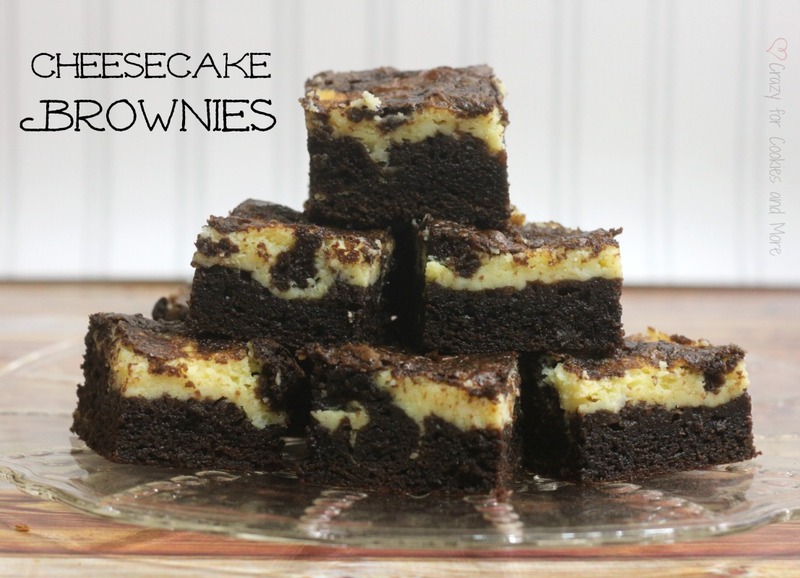 These cheesecake brownies were super soft and really moist. The rich brownie flavor combined with the sweet cheesecake flavor was divine. These were supper easy to make. I used a box brownie mix and then used my recipe for little cheesecakes to make the cheesecake layer. Since these were really moist and soft I did store them in the refrigerator after they cooled. I think I liked them better cold then at room temperature. With them being cold this would be a nice snack on a hot summer day! Place cream cheese in a mixing bowl and mix until smooth, add the egg, sugar and vanilla. Beat until well combined and smooth. Grease an 8x8 baking pan. Pour half of the brownie batter into the pan and spread it out to the sides. Next add the cheesecake mixture and spread it out to the sides over the brownie mixture. Lastly add the remaining brownie mixture and do your best to spread it out to the sides. Bake in a 350 degree oven for 40 minutes. Cool in the pan. Refrigerate left overs. Yes please! I'll take 3 along with a tall glass of milk. =) Absolutely two of my fav desserts combined too! Thanks so much for sharing with us at Weekend Potluck. We'd love it if you'd link back to the party within your post...it makes you eligible to be featured. I'm a rural (NW) Ohio gal too. Please visit us again soon. This combines my two favorite desserts Nina! Looks delicious! YUM! Do you deliver? 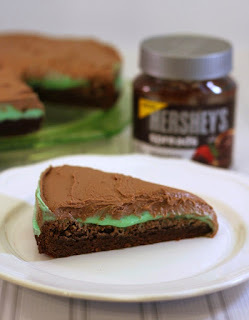 I am adding this one to my list of desserts I desperately need an excuse to make! Dropping in from Totally Terrific Tuesday hop! Oh My!! Yummy!! I would love if you stopped by My 2 Favorite Things on Thursday - Link Party and share your stuff!! I'd love to have you!! 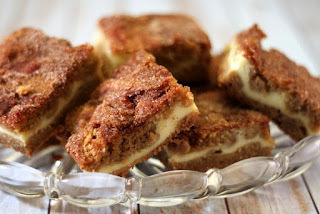 This is a favorite recipe, thanks for sharing your cheesecake brownie recipe with Foodie Friends Friday party this weekend. Pinning and sharing. We look forward to seeing you again soon with another delicious recipe.